Our Father, Who art in heaven, hallowed be Thy name; Thy kingdom come; Thy will be done on earth as it is in heaven. Give us this day our daily bread. And forgive us our trespasses, as we forgive those who trespass against us. And lead us not into temptation; but deliver us from the evil one. For Thine is the Kingdom and the power and the glory, of the Father and of the Son and of the Holy Spirit, now and forever and from all ages to all ages. Amen. According to the prayers of the Church, evil spirits are bodiless, and immaterial created spirits. The Holy Scripture reveals to us what characteristics they possess. Evil spirits have mind and will (2 Corinthians 2:11). 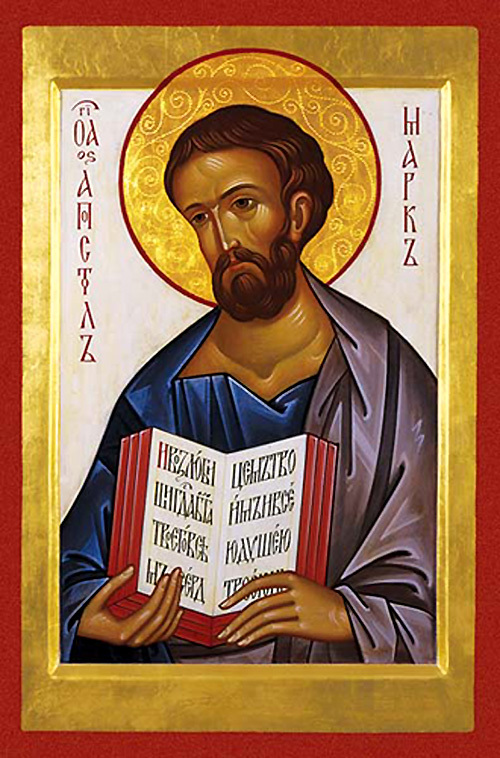 They know God, and this knowledge fills them with fear: "You believe that there is one God...the demons also believe and tremble," writes Holy Apostle James (2:19). More than once, evil angels confessed Christ the Savior as the Son of God (St. Matthew 8:29; Saint Mark 1:24, for example). Evil spirits know themselves, of course, for if the spirit of man is conscious of what it knows, then certainly the same must be said of evil spirits. Evil spirits know the condition of the present world, as we see in the Book of the Prophet Job. The evil one traversed the world and observed all people, and spoke of this to the Lord. The Lord did not refute these observations as false (Job 1:7-12), though clearly, the devil did not know the soul of Job; just as he and his demons can never approach the nature of our souls and know them. He can only judge from our deeds, actions and inclinations what the condition of our soul is, as the Holy Fathers tell us. Saint John Cassian says, "But the demons cannot possibly come near to those thoughts which have not yet come forth from the inmost recesses of the soul. And the thoughts too, which they suggest, whether they are actually or in a kind of way embraced, are discovered by them not from the nature of the soul itself, i.e., that inner inclination which lies concealed so to speak in the very marrow, but from the motions and signs given by the outward man." (First Conference of Abba Sereneus). Saint John the Solitary also tells us:"the devil cannot touch the nature of the soul, nor can he draw nigh it at all to harm it..." The devil does not touch or see the soul, but the members of the body only...and by harming one of the members he disturbs the thoughts which are active within them. For indeed, if he could draw nigh the soul so as to harm it, then he would also be able to harm it after it departed from the body, but this he would have to do while being unable to see it and having no power over it, because his power extends only as far as the body." (Sixth Dialogue With Thomasos). The fallen spirits know something of future events, but not from real knowledge or prophecy. They can surmise what will occur when it is going to take place from definite, unchanging causes. The general future is known to them from God's revelation (3 Ki. 22:21-22 Orthodox Bible), and also from the observation of man's character. Once, a demon drew near to Saint Andrew the Fool-for-Christ and told him of the moral disorder of Christians in the last days, "In those days," the demon said, "people will be more evil than I am, and little children will surpass old people in wickedness. Then, I will not teach people anything; they themselves will fulfill my will." Saint Andrew responded: "How do you know this, for a demon does not know anything by prophecy or forevision?" To this, the demon replied: "Our father, Satan, conjectures these things and passes it on to us." Though they have a mind, evil spirits have distorted it so much that, instead of the basic quality of the mind striving toward truth the main characteristic of the demon's mind is hatred toward truth. For this reason, the evil one is called "the father of lies" in the Gospel (Saint John 8:44) and "deceiver" in the Book of Revelation (12:9). Having hardened their will in unyielding evil, the demons now direct their activity toward evil alone, but demons also have a certain freedom, because they can select one evil out of many. Instead of love, the being of the devil is filled with irreconcilable enmity toward and His works. We have a constant enemy in the evil one, and therefore the Holy Apostle Paul advises Christians to array themselves in complete armor for struggle against the devil (Ephesians 6:12-17), and Christ commanded us to pray constantly to God, our Father, "...deliver us from the evil one." While Satan was an obedient angel of God, he dwelt in heaven. He exalted himself higher than all spirits and thought to become an independent power. Because of this, the Lord cast him down from heaven (St. Luke 10:18), together with the angels which had followed him in his opposition to the Creator (Ephesians 6:12; Rev. 12:7). Since then, the abode of the devil has been the "abyss" or "space", which, in common usage, is called "the air." The correctness of this idea is evident from the Holy Scripture. In the Book of Job, the devil himself testifies that he went round about the whole world, passing through the air (Job 1:7; 2:2). The Holy Apostle Paul speaks of the fallen spirits dwelling in the air: "For we struggle not against flesh and blood, but against principalities, against powers, against rulers of the darkness of this world, against spiritual wickedness in high places" (Ephesians 6:12). Here is how Saint Athanasios the Great explains this place: "The devil, the enemy of our race, having fallen from heaven, roams in the space of this lower air where, ruling over other demons...with their cooperation, he deceives people with visions and strives to hinder those who struggle higher, or which Saint Paul says, "According to the prince of the power of the air, the spirit that now works in the children of disobedience" (Ephesians 2:2). In the interpretation of Psalm 41, Saint John Chrysostom says, "How many demons are borne in this air? How many adverse powers? If God were to allow them to show their countenances, we would all be driven insane" (Works, Vol. 1, p.722). Saint Anthony the Great says simply that "demons are born in the air" (Works, Pt. 3, p.22). If evil spirits fill the air, then it is clear that they surround us from all sides. Saint Theophan the Recluse says of this: "The usual form of translation and understanding of the word "sky" signifies that spirits fly in the air, and just as air embraces us everywhere, so also do the spirits of malice draw near us, like mosquitoes in a damp place" (Interpretation of the Epistle to Ephesians, p. 412). Thus, in the Lord's Prayer, we are taught to pray, "...deliver us from the evil one." "From the beginning the devil is a man slayer and a father of vice" (St. John 8:44); while we, though this is so, are alive, and spend our lives all the more in opposing him; it is plain that they [the demons] are powerless. For place is no hindrance to their plots, nor do they look on us as friends that they should spare us; nor are they lovers of good that they should amend. But on the contrary, they are evil, and nothing is so much sought after by them as wounding those who love virtue and fear God. But since they have no power to affect anything, they do nothing but threaten...If they had power, they would permit none of us Christians to live...But since they can do nothing, they inflict the greater wounds on themselves; for they can fulfill none of their threats. Next, this ought to be considered that we may be in no fear of them…But the demons as they have no power are like actors on the stage...from which they ought rather to be despised as showing their weakness...But if the demons had power not even against the swine, much less have they any over men formed in the image of God. So then we ought to fear God only, and despise the demons, and be in no fear of them." In general, according to the teachings of the Holy Apostles, everything that is evil in the world is the work of the devil. "He who commits sin is of the devil; for the devil sins from the beginning..." says Saint John the Theologian (1 John 3:8); and Holy Apostle Paul calls a turning aside onto the path of sin a "turning aside to the footsteps of Satan" (1 Timothy 5:15). The Holy Scripture attributes to the devil the blinding of the minds of all those who do not accept the Gospel (2 Corinthians 4:4); they are represented as having fallen into the devil's net, who has caught them and held them at his will (2 Timothy 2:26). Even the circumstances which hindered Apostle Paul's visit to Thessaloniki, are attributed to the influence of Satan (1 Thessalonians 2:18). There is no doubt about the influence of the evil spirits on people. It even reaches a point at which, according to the Savior's words, the devil dwells in sinful people, as if in his own home, and he does not dwell there alone, but brings along other spirits (St. Matthew 12:43-45). Holy Apostle Paul very clearly depicts the dependence of a sinner upon the devil. He refers to the sinner as caught by the devil and exhorts the faithful to instruct them so that they may repent and "escape from the snare of the devil, who has taken them captive to do his will" (2 Timothy 2:25-26). We can escape only with God's help, which is why we have been instructed by our Savior to pray, "Our Father in the Heavens...deliver us from the evil one."